There are just some things you shouldn’t get anywhere else. The Queen City (and its surrounding areas) is no exception. Whether you’re an avid traveler looking for a special souvenir, or looking for the perfect symbol of Buffalove, Vidler’s is the place to be. 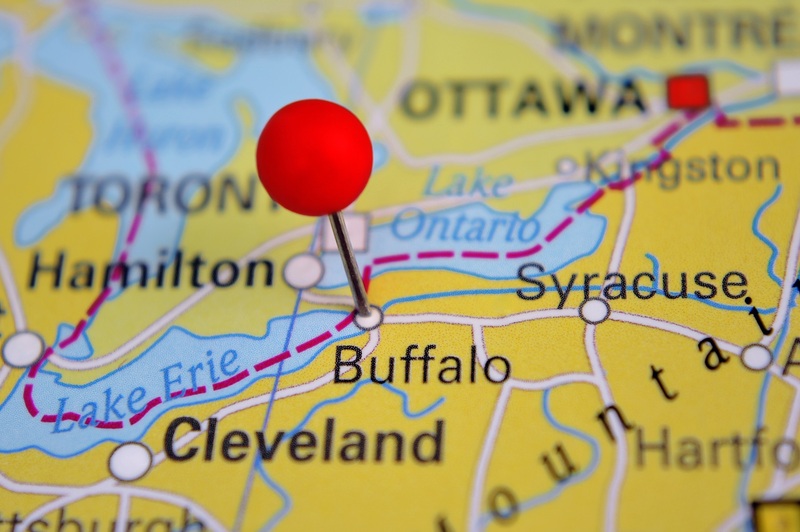 With our eclectic list of items such as the ones we’ve listed below, it’s no wonder why we have the best Buffalo themed gifts for miles around! This game became the perfect novelty item over the years. 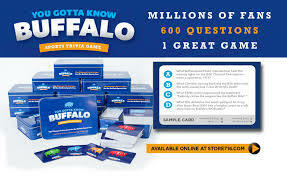 The My Hometown Edition is the perfect Buffalo gift for that history buff in the family, mainly because it consists of 500 trivia questions meant to evoke a warm sense of nostalgia amongst its players. This all-purpose cleaner is made in Buffalo and Western New Yorkers who are familiar with this product absolutely LOVE it. This century old cleaning formula works great for wood products, but can also be used on metal, tires and other surfaces. This inexpensive, useful product serves as the perfect buffalo gift for that carpenter in your life, or even that relative who’s always looking for safer, less chemically harmful alternatives to popular cleaning brands. Founded in Buffalo 2013 by Lisa Manchetti, this nail polish brand stemmed from an original idea that quickly grew into a thriving business that has reached to other cities! This Buffalo themed gift is perfect for the cosmetologist looking for something new, yet authentic. This Buffalo-bred themed nail polish comes in many shades including: Fandemonium, 716, Let’s Go Buffalo, Chicken Wing, Loganberry, and City of Good Neighbors. Made in Arcade, NY, this product is a great gift to give someone who has never been to WNY before. Nothing gets much better than a gift where people can smell and lather themselves in scents meant to nourish and cleanse the skin. Well, at least that’s what Buffalonians will tell you! Located in the cute little town of Kenmore, Kornerstone Coffee has been roasting high grade premium coffee since 1999 and guarantees incomparable freshness! Get them the gift of a great Buffalo brewed bag of delicious coffee! 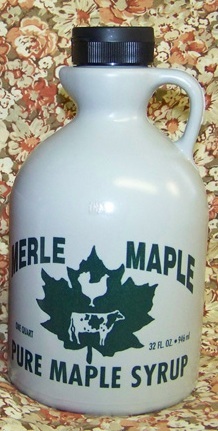 Freshly tapped from the well known Merle’s Maple Farm, this specialty syrup is sure to provide as the perfect gift for that someone whose palate is not easily satisfied by processed-store bought brands. Be sure to pick up this tasty Buffalo themed gift on your way to the airport! Curated by the best Buffalo area Polka bands, we have a plethora of Polka CD’s! 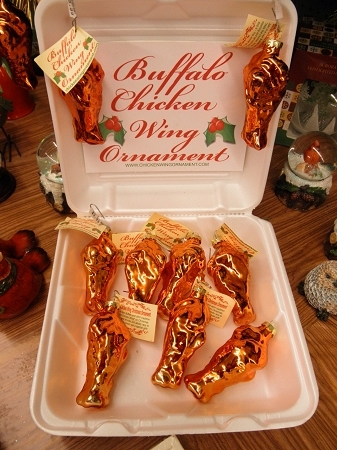 We have various ornaments shaped from foods Buffalonians know and love. Maybe they’ll like chicken wings (drum and flat), beef on weck, sponge candy, pierogi, loganberry, golumpki as a gift. Better yet, we know they will!